« Revised MAP OF HELL: CA in 9th Circle and FRANCE is its NEW CENTER! OPERATION COUNTERACT in CA: Mickey Mouse for DEM Presidential Nominee!!! WELCOME INSTAPUNDIT READERS! And many thanks to the Shrine’s #1 Patron! 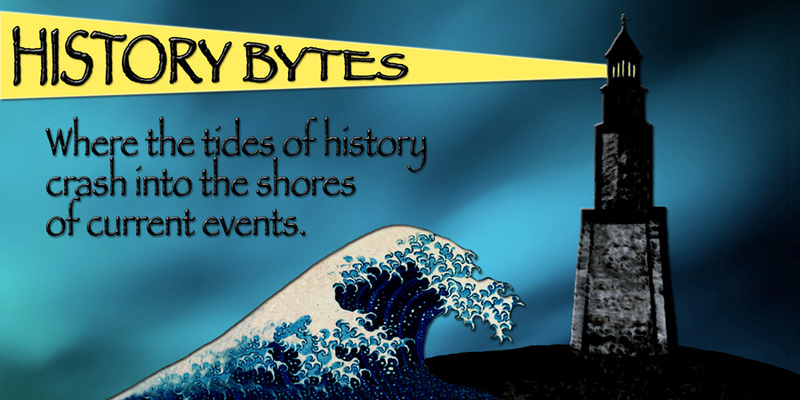 Please click on these for recent ancient Egypt-oriented and California-primary specific posts. This is directed at Blue Dog Democrats (such as myself), as well as PUMAs, independents and other Americans who may not be able to, or inclined to, participate in the GOP primary. 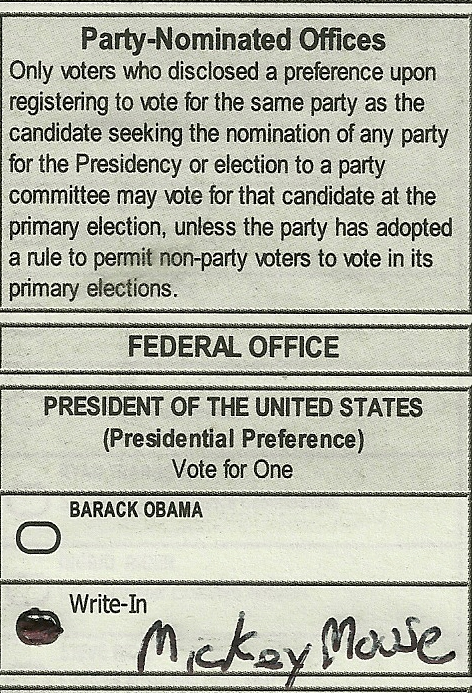 IF YOU ARE ABLE TO WRITE-IN A NAME FOR THE DEMOCRATIC PARTY’S PRESIDENTIAL NOMINEE, WRITE IN AN ALTERNATIVE TO OBAMA! In New Hampshire: Obama lost 20% of the primary vote; the #1 write in name was Ron Paul. Tuesday nights election results in West Virginia has a convicted felon getting over 40% of the vote in the DEMOCRATIC PRIMARY and garnering at least a delegate. LMAO, indeed. Over 20% of North Carolina DEMOCRATS selected “No Preference” as the Presidential nominee. Friends, Americans, California Democrats — lend me your eyes. I come to bury Obama, along with our friends in New Hampshire, West Virgina, and North Carolina. Are you going to tolerate Team Obama’s cynically political moves, distractions, and “War on Women“? 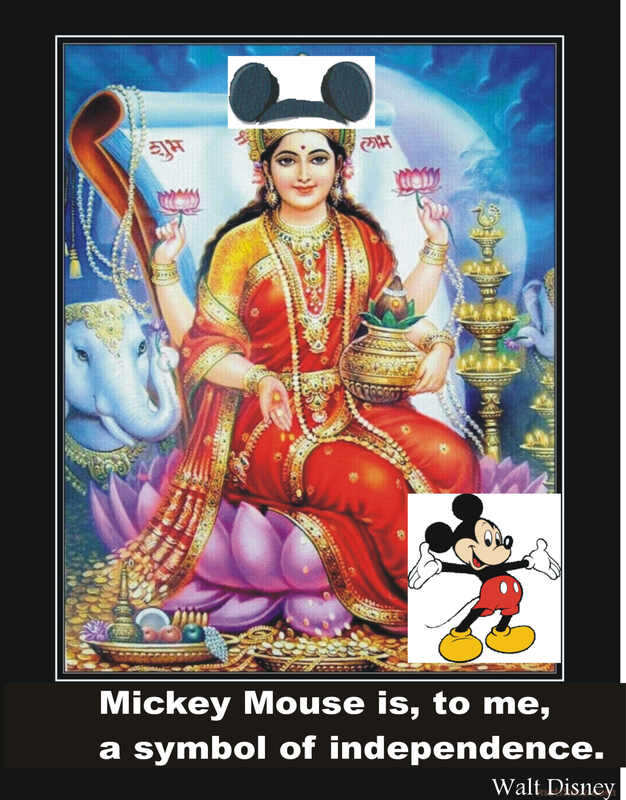 The Goddess of Capitalism officially nominates MICKEY MOUSE as the designated write-in choice for the June 5th California Democratic Primary! 1) THERE IS ALREADY A MICKEY MOUSE FOR PRESIDENT MOVEMENT….so some Americans already see the sense in this choice! 2) Mickey Mouse is an icon of the successful practice of CAPITALISM. He lives it, he loves it, and he does not belittle it. 3) Mickey Mouse strongly supports our military men and women; he is not likely to say that the troops are “fighting on my behalf“. Mickey honors our service men and women for sacrifices made on behalf of all Americans. BONUS — Mickey Mouse will get badass on our foes!!! 4) First Lady!!! 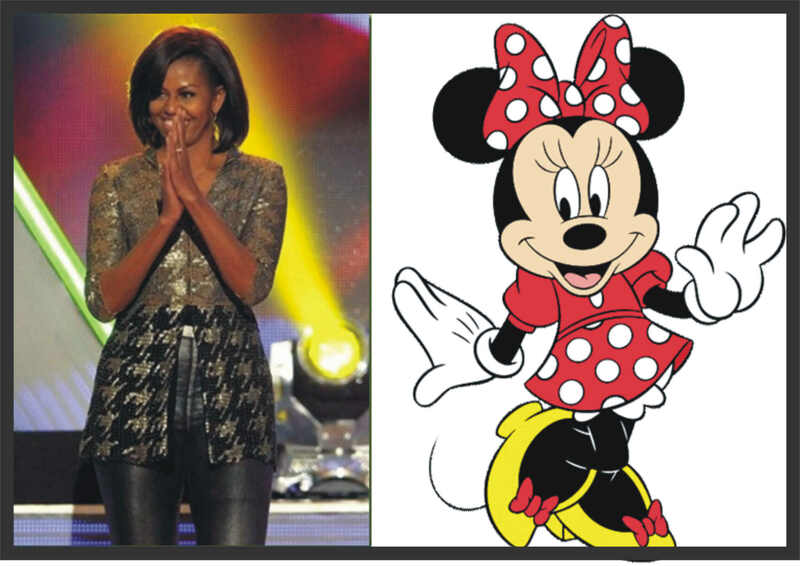 Fans of Michelle’s Mirror will recognize the immediate upgrade we get in sense of style if Minnie Mouse becomes the First Lady! Bonus — Minnie is proud of her country, too. 5) JOBS, JOBS, JOBS!!!! As a Californian, I would like to point out Mickey Mouse is actually creating employment in California. Team Obama, not so much. And recent employment numbers show that Obama’s policies are not likely to promote meaningful expansion in employment in this state or any other in the near future — even with tons a statistical manipulation. 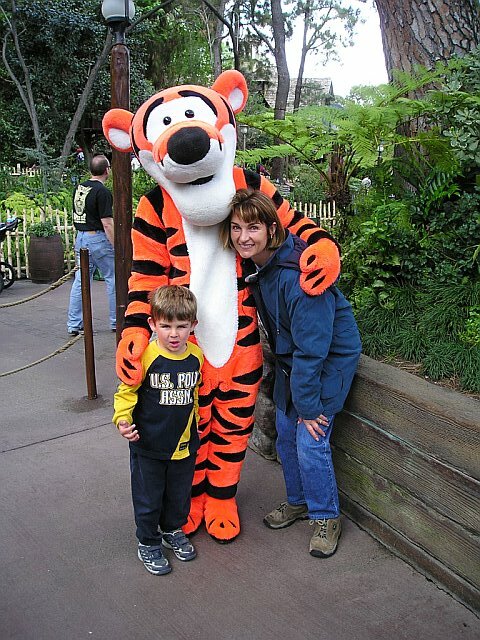 6) Disney Parks: HAPPIEST PLACE ON EARTH. Contrast that with Obama, who has a “Misery Index” worse than Jimmy Carter’s. I hope I have made a solid case for Mickey Mouse. One June 5th, I hope my fellow California Democrats will join me in writing in an alternative to Obama in percentages as least as great as those in our sister states. In conclusion, I am looking forward to this conversation on Nov. 7th 2012: MUT, Obama has just been defeated in a landslide. What are you going to do? Members of the San-Diego Local Order of Bloggers have been commenting on Obama’s “evolution” on gay marriage and “coming out of the closet“. I would feel remiss if I didn’t add a comment or two, given that I am slated to be interviewed on the subject shortly by the San Diego Union Tribune. Lipstick Underground asks if we are buying this “evolution. Clearly, NO! Left Coast Rebel questions Obama’s convictions. Beers with Demo takes a look at another Obama “evolution”, regarding attitudes toward food. B-daddy and I agree as to the timing of this “evolution” announcement: It is a distraction to divert focus from the horrendous election results for Team Obama I detailed above. Charles Caesar notes this “gutsy” call is simply to rally the base. 1) As one-in-size of Obama’s money “bundlers” is gay, and the sudden release of funds was rehearsed and a desperate maneuver for a campaign that is not getting donations at the levels they were expecting. In a nutshell: When having to decide between a heavily unemployed black community opposed to gay marriage, and a wealthy gay community, Obama went green. Enter Jonathan Lewis. In June of 2009 we advised women, Jews, and gays to “wake up”. We noted that the organizations supposedly established to fight for these groups were more interested in defending Barack Obama than in their mission statements. We recently noted this pro Obama hypocrisy was also evident in the actions of environmental groups and labor unions – they’re more interested in protecting/helping Barack Obama than in their own constituents. Jonathan Lewis and a few gay leaders were the only ones that fought for the gay community and today their strategy threatens a meltdown of the Obama campaign. If other constituent groups learn from Jonathan and demand Obama act on their issues Obama will be caught between today’s Obama and the other Obamas from yesteryear and Obama “present” votes of convenience. EdgeoftheSandbox notes the next issue for “evolution” — Polygamy! To round out this section, Word Warrior offers a video featuring another disgruntled California Democrat (and my new favorite comedy star) Jon Lovitz. UPDATE: A big shout-out to Captain Capitalism, who sent a bunch of new readers my way today!!! This Goddess will be totally adding you to the blogroll soon!!! Many thanks for the link. I have to tell DH, who is getting a non-partisan ballot, about the Mickey Mouse write-in. also, I wanted to tweet it out, but notice you don’t have the share button. EoS: I will have to figure out how to get that! I think I sent a tweet already — I will try and DM you on Twitter! Go to dashboard, settings, sharing. Then enable sharing buttons. Leslie, thanks for the link! Strong case for Mickey. I love it. Disneyland is the happiest place on earth and this country really needs some happiness. there is a conflict of interest here. mickey appeared on the scott walker recall petition. it was probably forged, tho’. Great post , I would love to re-blog it but the button didn’t seem to accomplish the task . it is nice to know that some on the ” one” s side of the aisle are as disgusted with the current lack of leadership at 1600 as the rest of us are . By the way congratulations on getting an ” Instalanche ” . Every blogger’s dream . Keep up the great work and good luck in California . Update : My apologies , the reblog did work I just wasn’t patient enough . Thanks again for a wonderful , link-filled post . 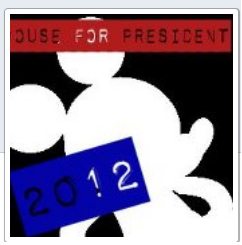 on May 16, 2012 at 4:57 pm | Reply Moe Lane » The call for Mickey Mouse as a write-in in the CA-DEM Primary! Since Mickey Mouse aka Davis/Obama/Soetoro [call him “the Banana” and have done] is already the incumbent, we’ll plump for a serious competitor: Marcus Aurelius, Emperor and Stoic philosopher born a slave, safely dead these 1,800 years. SHD will naturally ignore the threat… but ideas live, as criminal conspiracies do not. Ratbag Kenyan tribalists just don’t understand. Thanks for the link and sorry it took a few days. We are still homeless/moving, and I have yet to completely figure out posting on the iPad. I should have my dear Husband write in since he’s a Cali voter, but I’m pretty sure the wont get that ballot since he’s one of a dozen registered republicans in the state ; ) congrats on the instapundit link! I’m still waiting on that day. While I like the idea of a write-in, I don’t think Mickey should be defamed in such a manner. With all due respect to the Democrats here, have you ever really taken a look at you fellow party members? “Happy” is not a description that applies. Who was the Democrat that spoke at the Republican Convention last time? Darn, I can’t remember this fine gentleman’s name…but he’d be my pick. “OPERATION COUNTERACT in CA: Mickey Mouse for DEM Presidential Nominee! !! � Temple of Mut”. I may become heading back to ur blog shortly. An amateur Egyptologist who sometimes writes about Egypt. Proud member of the SLOBs (San Diego Local Order of Bloggers). A+ Punditry from the SLOBS! Fox Business Interview on May 19th Election. On FOX BUSINESS discussing Tea Party Convention in TN!